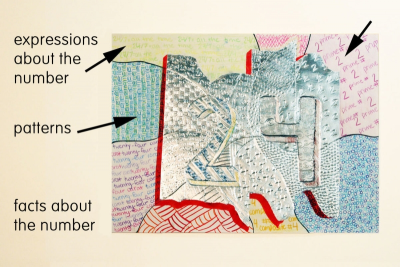 Students use aluminum foil tape, markers and coloured pencils to create a number design filled with patterns and information about their birthday number. Crayola Signature Sketchbook, 6"x 9"
Follow the steps in the Exploring Aluminum Tape lesson plan available on this website to experiment with different ways to make marks on the aluminum foil tape. Tape some aluminum foil to the paper. Do not cover the whole paper. 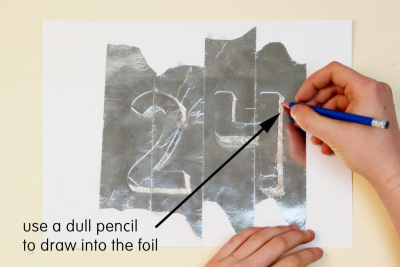 Use a dull pencil to draw your birthday number into the foil. Draw lines to divide up the space around the number. Create patterns in the spaces. Extend the lines of your foil design onto the paper. Fill each space with colour and patterns. Include expressions and facts about your number. use the photos to create a digital story about "Number Land". Prior to this lesson have students experiment with aluminum foil using the Exploring Aluminum Foil lesson plan available on this website. Download and display the Texture, Contrast and Repetition posters available on this website. 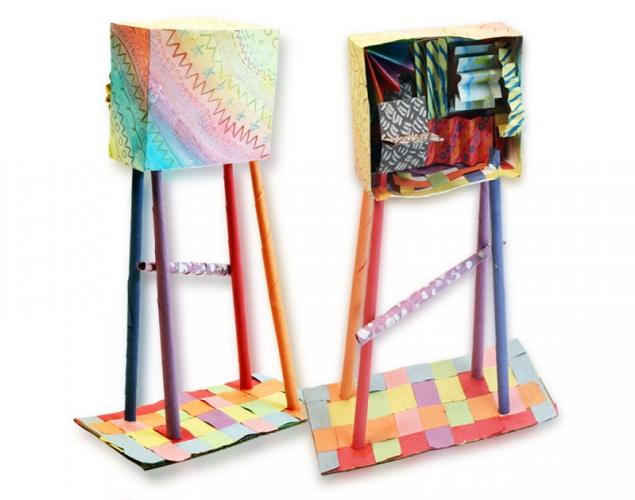 Teach or review concepts about texture, contrast and pattern. 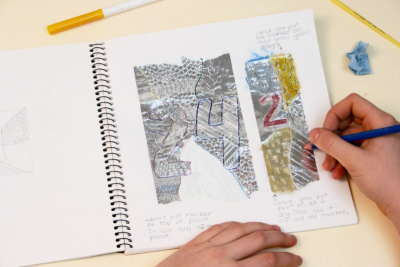 Review how to make marks in the foil using a dull pencil and/or a wooden candy apple stick. View the Contrast poster and discuss how to create contrast using colour, pattern and different elements. Have students share some of the interesting facts and expressions they learned about their birthday number. Create a number design filled with patterns and information about your birthday number. Create texture on foil tape. Create colour effects on foil tape. 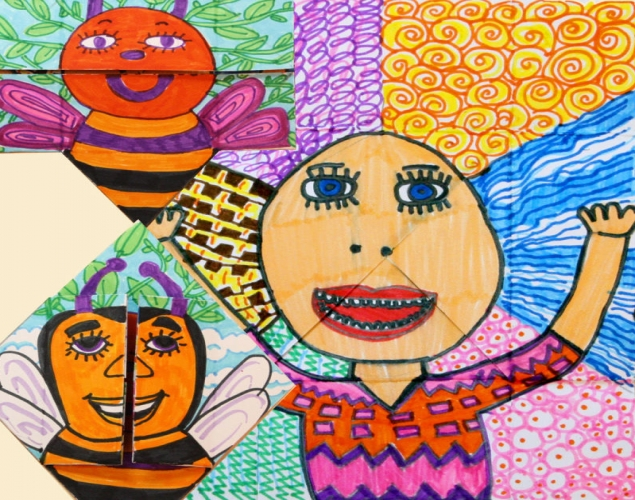 Observe students as they discuss the drawings – active listening, insightful contributions, supporting ideas with evidence found in the artwork and from personal experience.